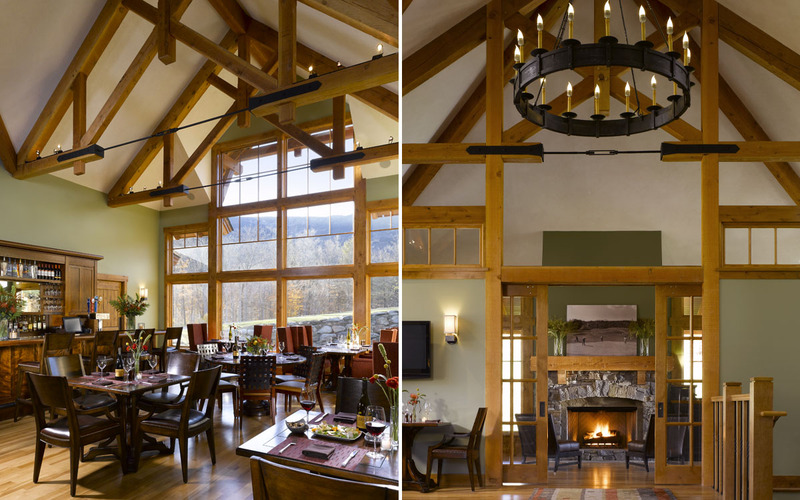 The Golf Club House Restaurant at Spruce Peak is a sophisticated space that complements the spectacular views of Mount Mansfield. The facility is open year-round, serving golfers in the warmer months and cross country skiers in the winter. In response to these changing uses, the pro-shop transforms into a cozy warming place during ski season. 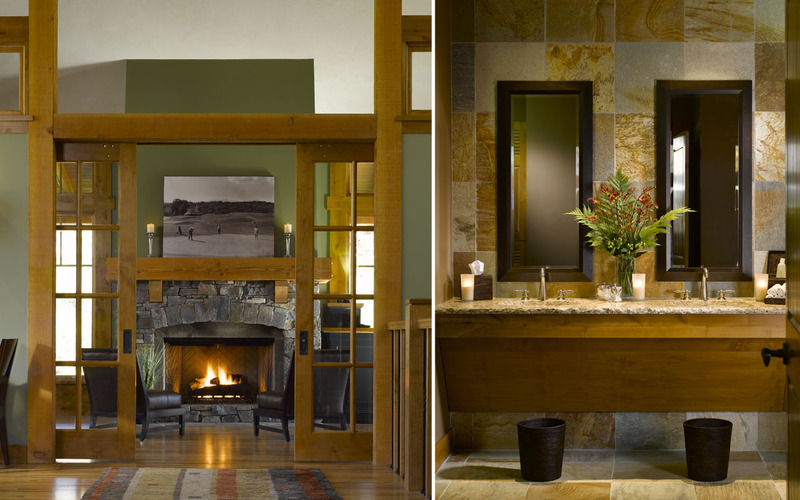 The interior design is elegant yet informal, evocative of a rich Vermont vernacular. TruexCullins Interiors collaborated with Zehren & Associates on this project.